Despite the advancements in technology over the past 58 years, self-storage hasn’t changed one bit. It’s still a “service” that makes you do all the work. Self-storage makes you haul everything. You haul nothing, and you skip the insane things that happen inside self-storage units. We’ll pick up, store, and deliver your stuff back. Self-storage makes you buy and build boxes. You buy and build nothing. We’ll provide free storage bins and wardrobe boxes. Self-storage makes you dig through boxes. You dig through nothing. We’ll create an online photo catalog of your stuff. Need something back? Click the item’s photo and we’ll deliver it you. Self-storage makes you pay tons of money. You only pay for the space you use. Here’s proof that MakeSpace is more affordable and convenient than your local self-storage company. Now that you know self-storage is stupid, be smart: Schedule a MakeSpace pickup, pack your stuff, and leave the rest to us. 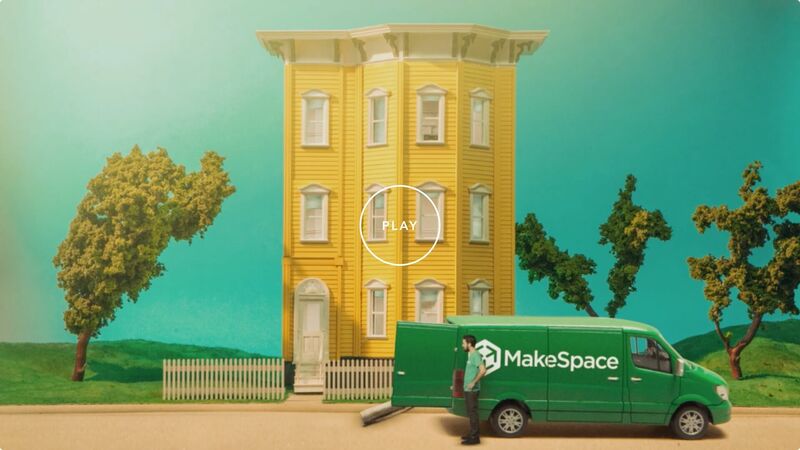 “Coolest storage unit ever: @MakeSpace not only picked up my stuff, but wrapped all my furniture so it wouldn't get damaged too! #moving."